I’m an external processor. When I’m trying to work something out, when I’m not quite sure where to go next, when something is bothering me or exciting me or driving me forward I want to, no, have to work it out outside of my own mind, usually verbally. Often that working out starts with me saying “for some reason” and then trying to figure out the reason. For example, a few months ago I texted a friend saying that “for some reason” I was going to attend chapel at my daughter’s preschool. This isn’t something I do regularly. I don’t usually remember when chapel is held for her class. I don’t normally make room for it in my own schedule. It’s just not my practice . This particular week I had been invited to the chapel as a pastor in town for Pastor Appreciation Month. 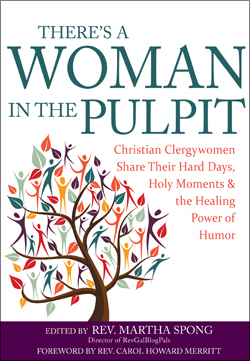 The rest of that story, in which I work out the reason I went to a service where I wasn’t quite sure I would really be welcome, will appear as a chapter in an up-coming book, There’s a Woman in the Pulpit. (How’s that for a teaser?) Ultimately, what was important for me was following the thread of my pondering “for what reason” to unravel a stronger sense of my own call to ministry, the leading of the Spirit in my life and the life of my community. I had another blog for a while, but for some reason it never quite worked for me. Sure there were seasons I wrote on it regularly, but for the most part it just felt… blah. I think I didn’t know what I was trying to do with it. I think I didn’t have a voice worked out. I think I just didn’t trust that I had something to say. For some reason, though, it’s time to start over. I’ve had some friends nudge me a little here and there, women and men I respect, people whose lives and ministries I admire. I’ve watched a lot of important conversations take place, conversations I care about, conversations of which I want to be a part, but conversations I’ve missed for lack of a place to join in and the discipline to stay engaged. I’m growing more confident that I’ve got something to add to this world of writing and talking about ministry, the church, families, and the world around us, and, well, even late to the game, I think I want to try to join. I’m excited and nervous about trying to make my way into some of these waters. Disciplined writing has not ever come easily to me. I also worry that thinking of things to write about here will be as difficult as deciding what to write in the monthly church newsletter. But again, for some reason, the time seems right, if not overdue, to join the conversations happening around the church and culture blogosphere, so here I am. May God, the ultimate reason, bless whatever I offer.